Do you have a mountain bike or hybrid that hasn't been off the pavement? Join our GLS (Gay and Lesbian Sierrans) friends for a beginners' mountain bike ride in Lakewood's Hayden-Green Mountain Park. 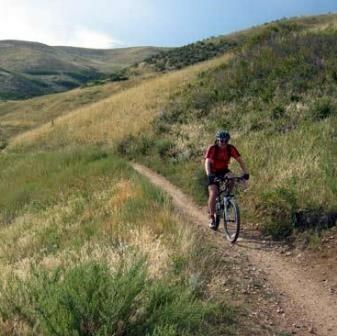 This ride is for people who ride the bike paths but haven't taken their bike onto the trails. To ease into things, we'll start on a gravel walking path, then do the easy singletrack around the southwest corner of the mountain, turning around before the long climb to the top. This will give you the feel for dirt under your tires but avoiding the rocks and ledges of the more advanced trails. The trip will be an out and back totaling six miles with 300 feet of elevation gain. We won't have any extended climbing, but there will be short sections that might require pushing, depending on your fitness level. This event was added on 7/13/2015 by an RMBB member and was last updated on 11/20/2015 by an RMBB member.